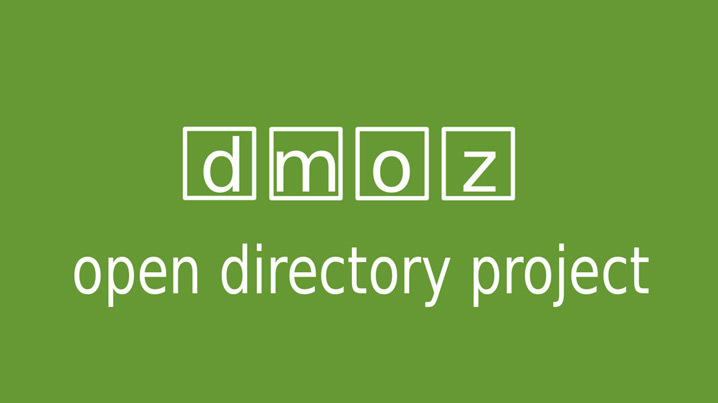 We all know that DMOZ is the famous Open Directory Project, right? The Open Directory Project (ODP) is known as DMOZ because of its original domain name, directory.mozilla.org and is a multilingual open content directory of web sites that is developed and maintained by a community of volunteer editors. DMOZ uses a hierarchical system for organizing website listings. Listings are sorted into categories, which can then include sub-categories under them. Google uses DMOZ as a directory source so it is important to have your site listed in its index. Google’s own directory is actually the whole DMOZ directory. Robozilla which is DMOZ’s web crawler checks the status of all sites listed and periodically flags websites which appear to have moved or disappeared. This helps to reduce the link rot in its web directory. Now, it has been said that without a DMOZ listing you will not rank well in Google. This is not true, but it is one of the best authoritative links around. There are two ways you can submit your site to DMOZ. The first way is to find the category your site belongs to and enter your website there. Another way is to go directly to the region where your business is located. Then look for the category you want within that region and submit your website in that location. Always try to submit to a category that has an editor and be patient. Getting listed is notoriously slow, but the results can be well worth it. We know that being listed will probably help our Google rankings, but getting in can take a very long time. There is a massive accumulation of sites waiting to be reviewed. Each editor can only edit their own categories. One of the main reasons websites seem to wait forever to get listed is actually the fault of the submitter of the site. The website must be put in the correct category – not one that nearly fits or one that you would like it in more. This causes a delay with the submission being passed along to the correct category and added to the queue – again. So, when submitting a site, always take time to find the right category for it. Don’t be enticed to submit it to a category that is higher up than it belongs, because it won’t be accepted there and will cause delays. How good is a listing in DMOZ? It will certainly help your bid for a first page listing in Google and you will sometimes find that the description used by the search engines when they list your website in their natural results will be from the DMOZ listing, not from your websites description Meta tag. A quality link from an authoritative site or directory like Yahoo or DMOZ linking back to you is better than 500+ links from link farms or other irrelevant sources as far as your link building efforts are concerned..
Not many people actually use DMOZ for searches so a DMOZ listing is not really for generating traffic. However, its data can be freely downloaded, and any website, however small, can use it. This has some significant effects for websites that are listed in DMOZ. PageRank is an integral part of Google’s position algorithm, and top PageRank can mean superior rankings. The PageRank within a website is increased by other sites that link to it. The higher the PageRank of the pages that link to it, the better it is for the site that the link points to. A DMOZ listing produces two important links to a site – one from DMOZ and one from the Google directory. Both of these usually have high PageRank. Then add the links from the thousands of small sites that have downloaded the DMOZ directory to their own and you can see why it is very valuable for your website to have a DMOZ listing.